Nestled in the lush green hills of the Blue Mountains far away from the hustle and bustle of the city of Kingston is a small restaurant called EITS Cafe. 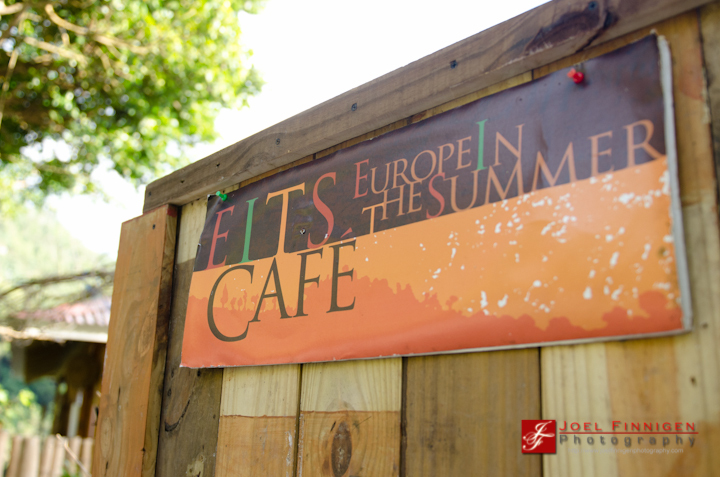 The name EITS, I realized after a while, is an acronym for Europe In The Summer. This rustic little restaurant, perched on the side of one of the many steep valleys of Jamaica's highest mountain range is a real testament to what a country restaurant is. It's rustic board structure and the remote location is just what the doctor ordered to make one forget the stresses of city life!